At Academy Dental, we believe in adopting the latest and greatest advancements in dental technology because of the benefits, convenience, and options it gives our patients. 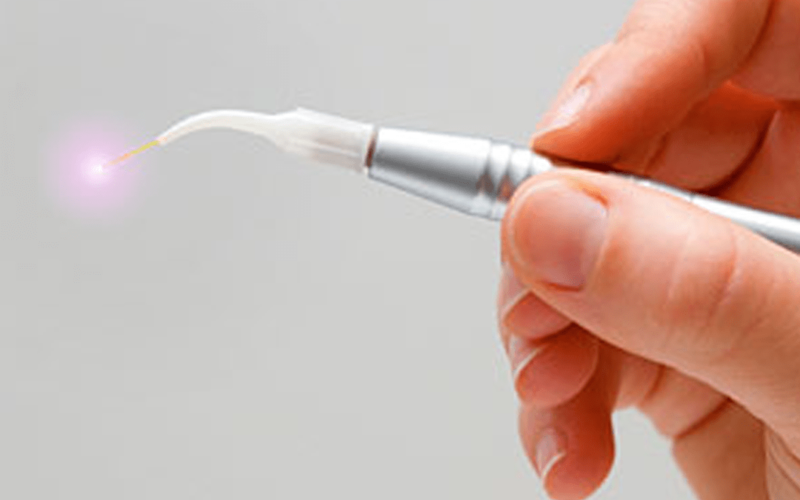 Laser dentistry is no exception, and there are many reasons why you might want to take advantage of the laser’s edge in your dental care- it has the potential to redefine your experience at the dentist. Laser dentistry means Academy Dental can treat issues such as bleeding gums and tartar build-up with laser-like precision, literally. Procedures done with laser dentistry are often less invasive and less painful, and because of this there is a reduced need for local anesthetics, so your mouth doesn’t have to be numb for hours after your appointment anymore! There is no need for incisions or stitches either, which speeds up healing time when it comes to soft tissue surgery such as gum therapy and contouring, and also when treating canker and cold sores. Bleeding is also minimized, and the rate of infection afterwards is lower due to the laser cauterizing the tissue as it operates.